Monocles were once commonly worn among men to correct or enhance the vision in one eye only, while leaving the other eye to strain against the blur. 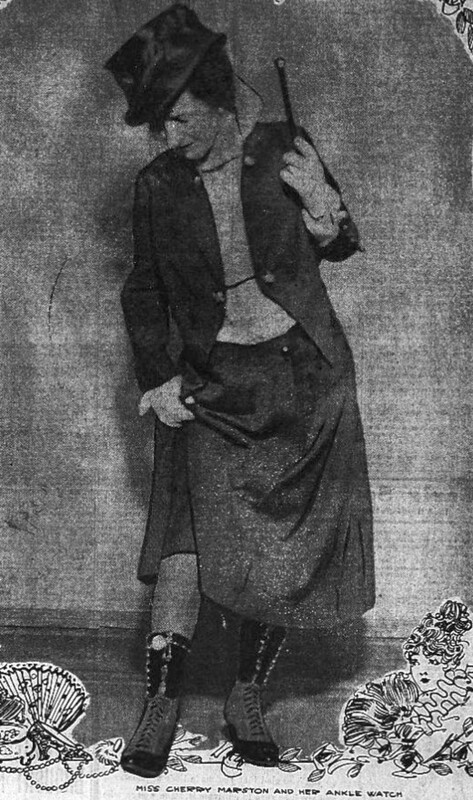 It was a rather silly looking idea, but the fad took off among women who were exploring their new found freedoms in 1920. 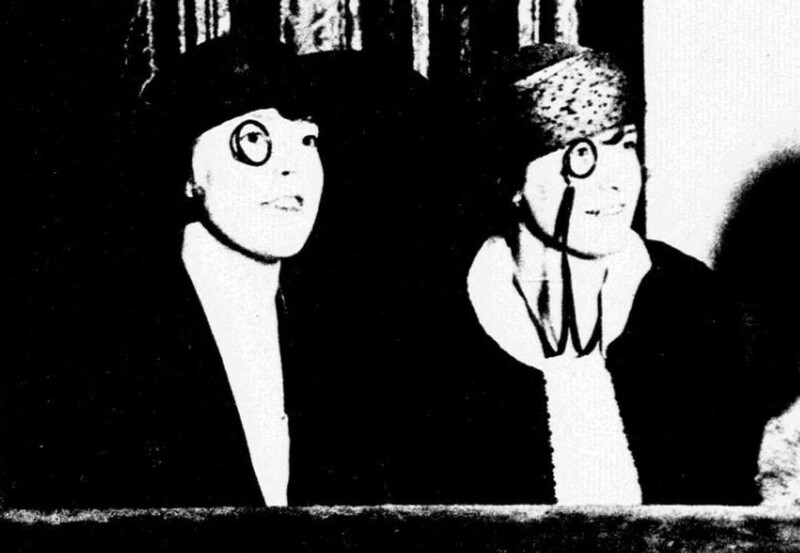 Newspapers across the U.S., Australia, and Europe would publish photos of these daring women who would proudly wear their monocles to the races, the opera, and even to the beach. 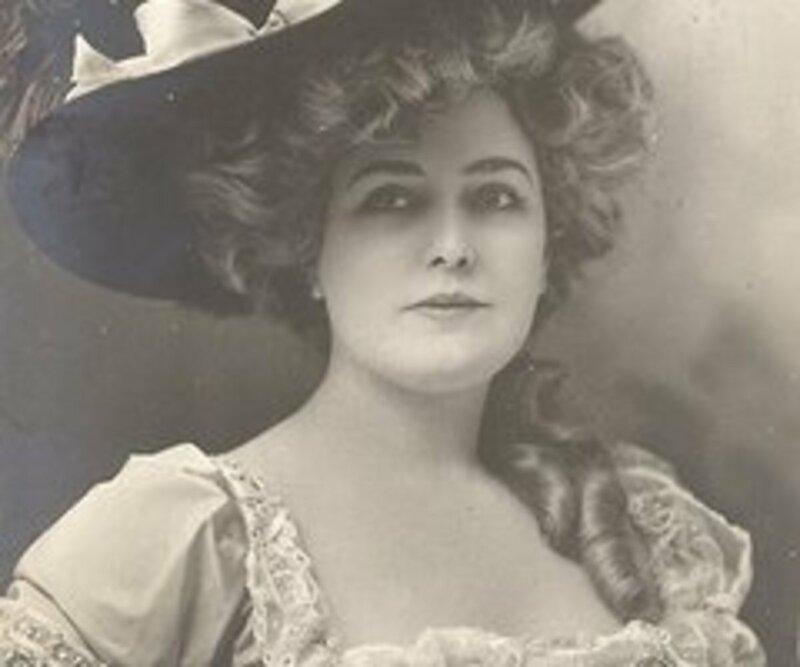 Commercial chewing gum, an American invention, was so popular among the young people in the early 20th century that a new fashion fad hit the scenes. It was called the chewing gum locket, and while it was patented in 1889, it did not reach its height in popularity until 1913. The gum locket was made to look like a regular photo locket, but when it was opened up, the inside of the locket was lined with porcelain. This was to prevent the gum from sticking to the locket. Girls would chew their gum and after a time they would put it in their locket for safe keeping. When they felt like chewing again, they would open up the locket, pluck out their used gum, and start chewing it again. 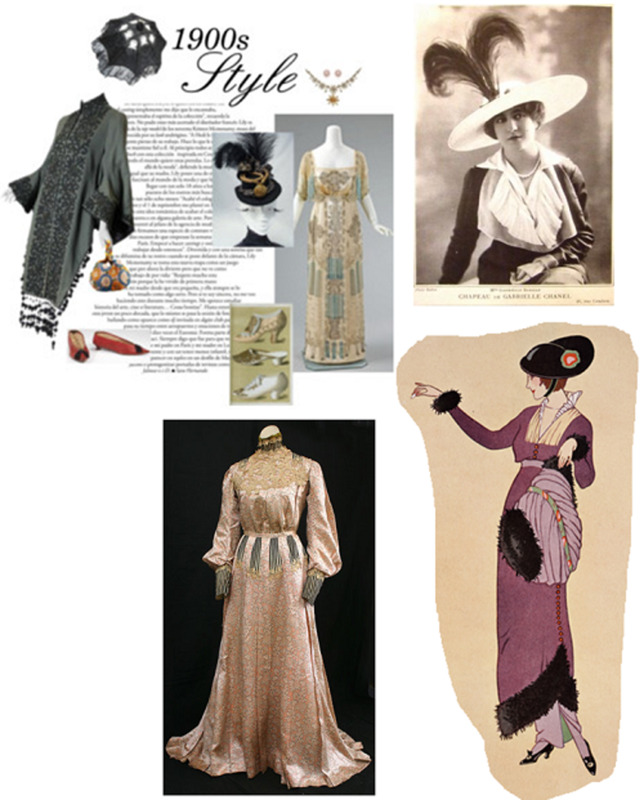 The early 1900s experienced a mummy craze in the fashion world, and the designers were ready to take it to the extreme. One of the trends inspired by Egyptian mummies was the mummy sleeved dress. 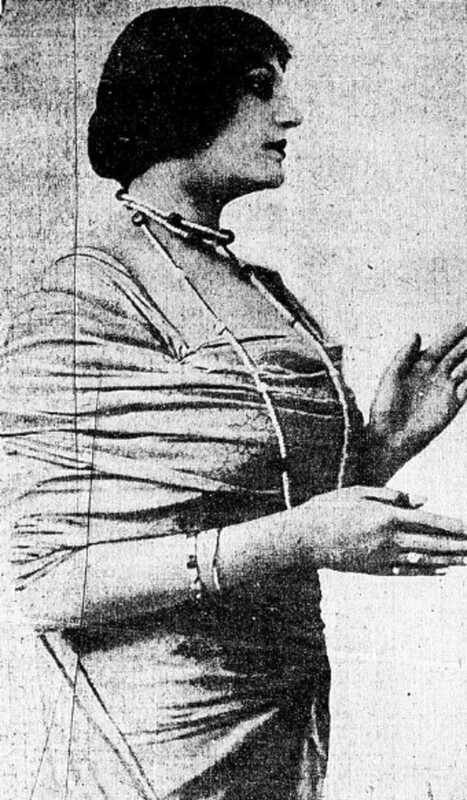 Touted as “the restraining sleeves of Rameses resurrected for Paris Beauties” in a 1913 newspaper article, the sleeves prevented women from lifting up their arms. While wearing the mummy sleeves, women could only move their lower arms and hands. The upper parts of their arms were held down to their sides. With their movement so severely restricted, the fad sleeves died out as quickly as they entered the fashion scene. The year was 1915 and a jeweler in New York City had a surplus of women’s watches. Instead of sitting on the watches, hoping that they would one day sell, he decided to start a fashion fad called the ankle watch. Since women’s skirts were getting a bit shorter and their boots were getting longer, the jeweler made a band for the watch so that ladies could wear it around their ankles or around the tops of their boots. The only problem was that it was an impractical place to put a watch and newspapers insisted the fad would die out just as fast as the wrist watch had previously died out. 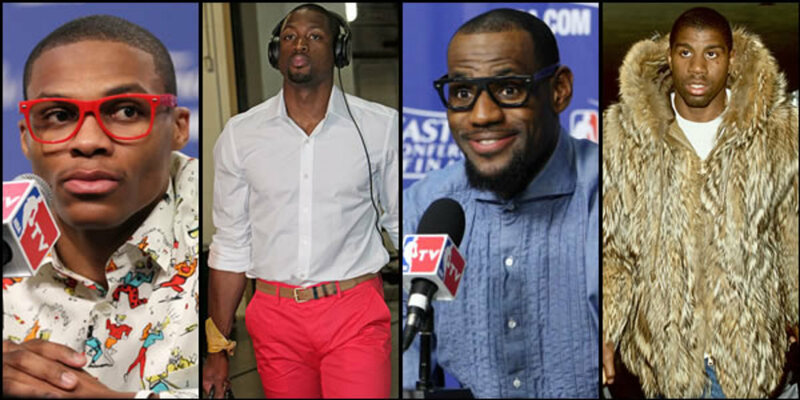 Are you willing to sacrifice personal comfort in the name of fashion? Yes, anything to look good. No thanks. I'll keep my yoga pants. The early 1900s saw a lot of fads when it came to pets. 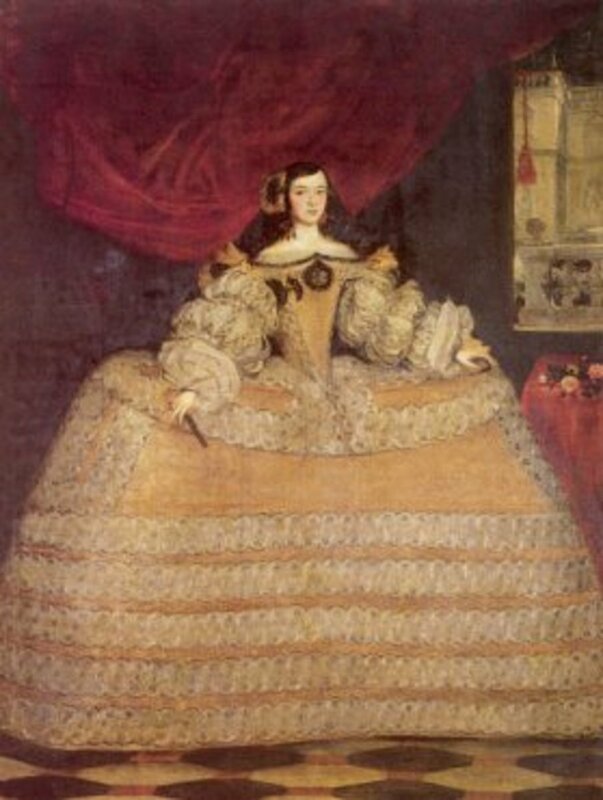 Many women accessorized their outfits with monkeys or they might have gone out in public carrying some other animal, such as an armadillo or even a baby possum. 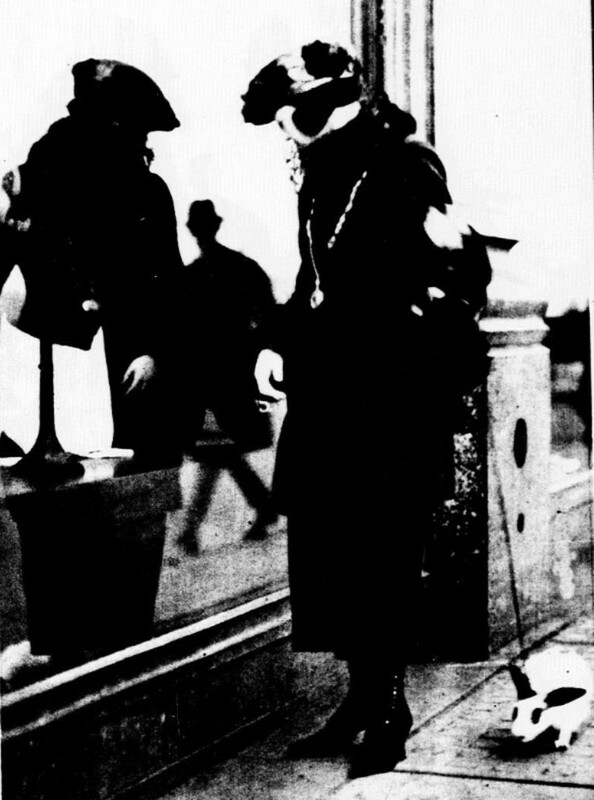 By 1920, there was a new fashionable pet for the ladies: the rabbit. Women could be seen in the big cities, like Chicago and New York City, window shopping with pet bunnies on leashes. They would take these bunnies to social events and even out on dinner dates. The rabbits were not merely pets, but were meant to capture people’s attention and it worked. 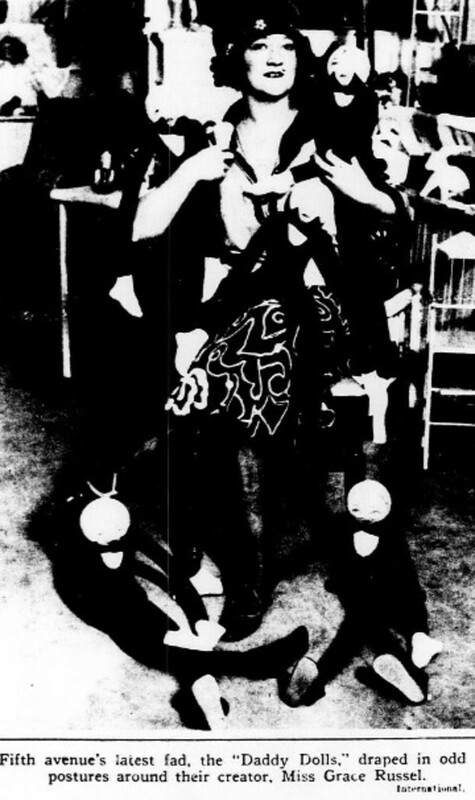 Numerous newspapers across the U.S. published photographs of women showing off their fashionable bunnies to the public. Of course, if a woman did not want the responsibility of caring for a living pet, there was another, more suitable, pet trend in 1922. 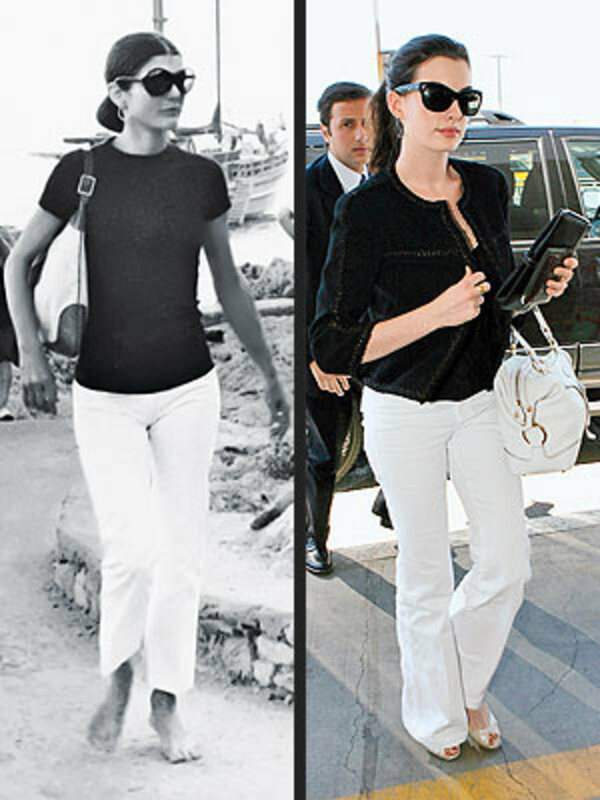 The fad began in Paris, but it was not long before it reached the U.S. It involved adult women carrying around toy, stuffed dogs. These ladies took their pretend pets with them everywhere and loved the fact that the toy dogs did not bark, bite, or make any inconvenient messes. 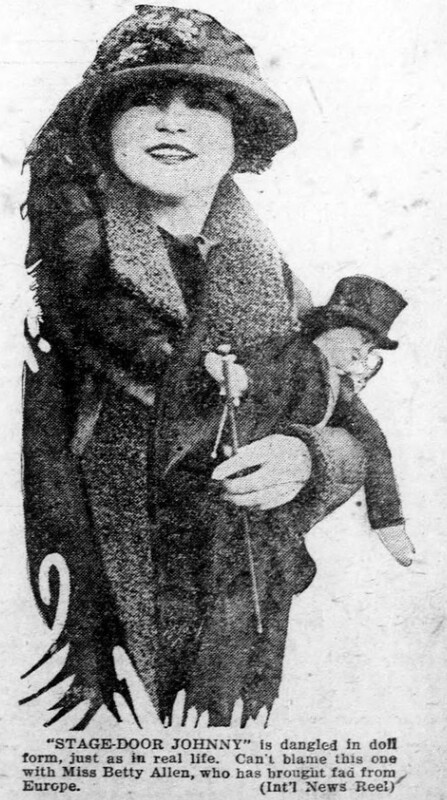 Another fashion fad from 1922 involved women carrying around special dolls made for adults. “Stage Door Johnny” was a popular doll for women in Europe, but in the U.S. there were also the “Daddy Dolls.” The “Daddy Dolls” were popular among the flappers of the 1920s and were photographed being held by women inside dance clubs and while hanging out on the streets. There were also the very popular character dolls. These adult dolls were given international costumes and were also made to match up with the owner’s wardrobe. Back in 1910, a traveling naturalist decided to do something unique with the beetles he was finding. He gathered up the largest beetles he could find, ranging from one to one and a half inches long, killed them, plucked off their legs, and gave them a coating of shellac to preserve them. The dead beetles were then attached to the heads of hat pins and sent to London where they became a fashion for the ladies to wear. 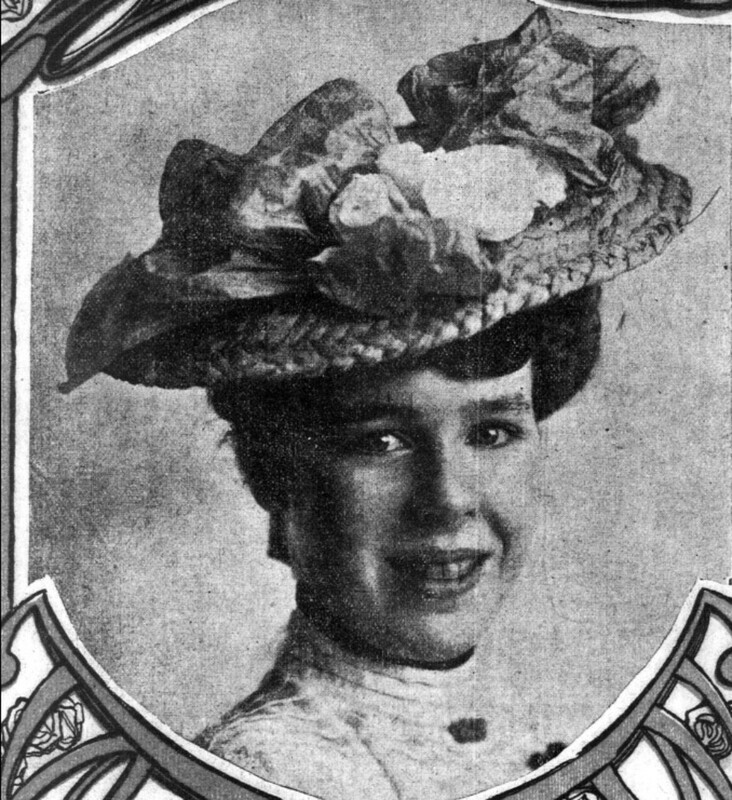 There was a huge write up in a San Francisco newspaper back in 1902 about the tissue paper hat fad among the ladies. According to the article, hats made from tissue paper were the latest trend in women’s summer hat wear. The hats were made by braiding strips of tissue paper and sewing the coils together to make a very basic hat. Tissue paper flowers and ornaments were then added to the hats as decoration. The fad did not last longer than a summer, and this was for many reasons. The first was that the hats, worn out in the sun, were fast to fade and yellow. Second, rain would easily destroy the hats. And finally, the hats were not only ugly looking, but they could not endure daily wear throughout the summer. 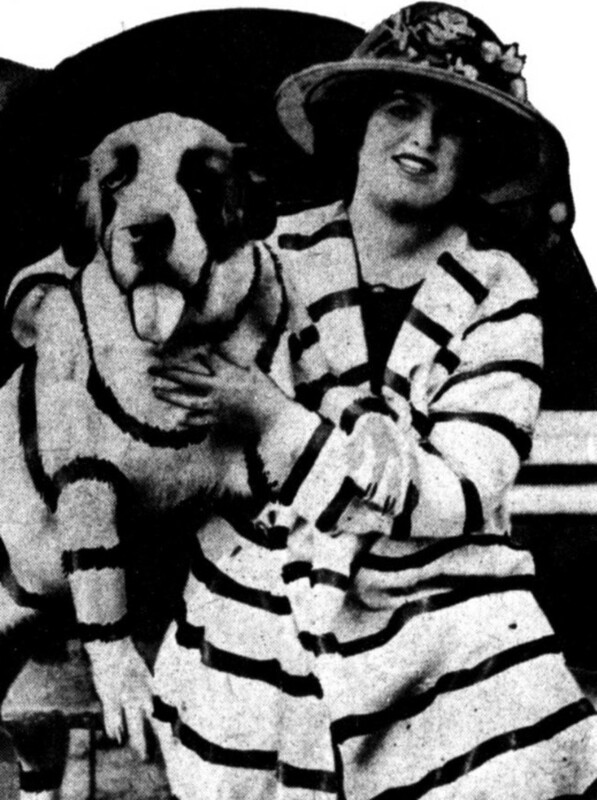 In 1922, it became the fashion to dye the fur of one’s pet to match an outfit. In one newspaper article, it was said that women used coffee, tea, and caramel dyes, mixed with quinine to get the colors and patterns desired. Some women took the dying to dangerous extremes and it was reported that one young woman dyed her cat blue in a poisonous dye. The Humane Society found out about it and she was taken to court in New York City. The women who appeared to be using natural dyes were also causing harm to their pets as they would immerse their dogs in hot coffee once every 12 hours to dye their furs brown.